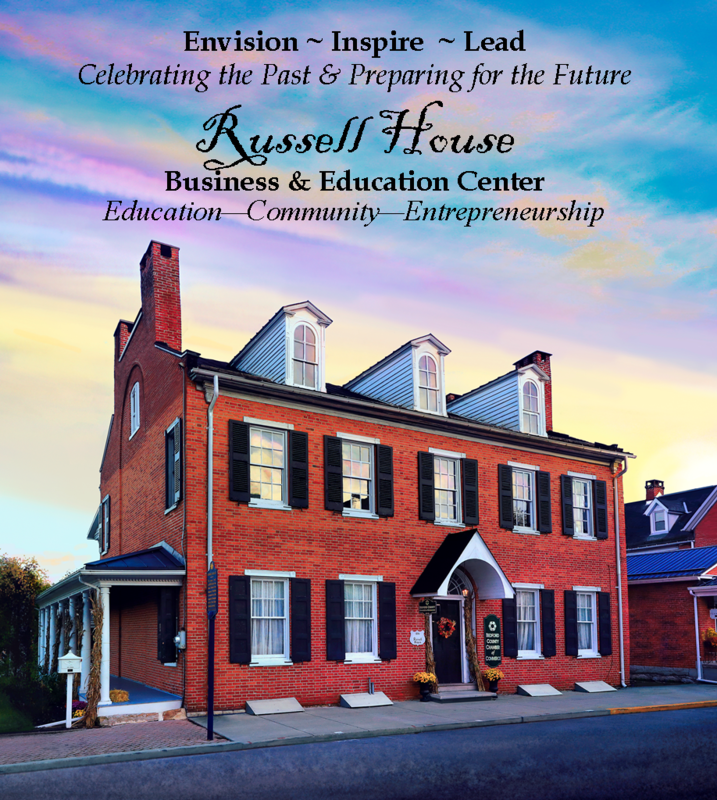 The Chamber is pleased to report that the Russell House second floor office rentals are nearing full occupancy, as the organization’s 501-C3 Education Foundation continues to pursue a combination of Federal grants to create a center for entrepreneurship, business and education to serve the Bedford County region. The Russell House, whose renovation will represent some of Bedford County’s core values: preserving and celebrating our history while creating innovative opportunities for the future, offers many ways for businesses and individuals to be recognized as part of this exciting project. A New Title Endowment/Partnership has been added to the offerings, a tremendous opportunity for significant exposure and partnerships with the many elements of the project. Those interested in discussing this $100,000+ opportunity should review the Request for Proposal below. (Deadline to submit a proposal for this unique, exclusive and perpetual naming opportunity is March 1, 2019.